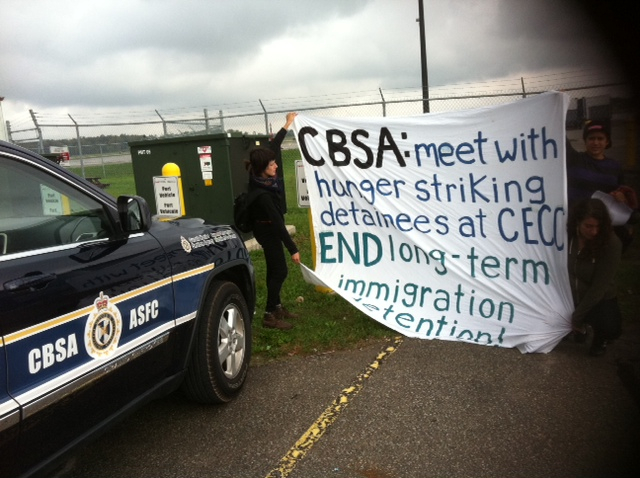 On Monday, September 30th, supporters marked the 8th day of the hunger strike in Lindsay with visits to Canadian Border Services Agency (CBSA) offices in Guelph and Waterloo. 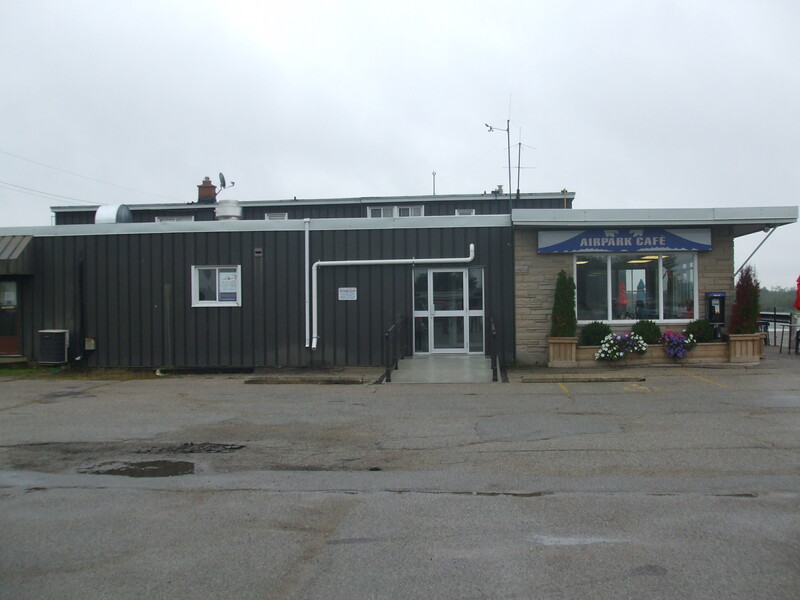 CBSA maintains one tiny office at the Guelph Airport, just outside of town. But we decided that wasn’t enough. 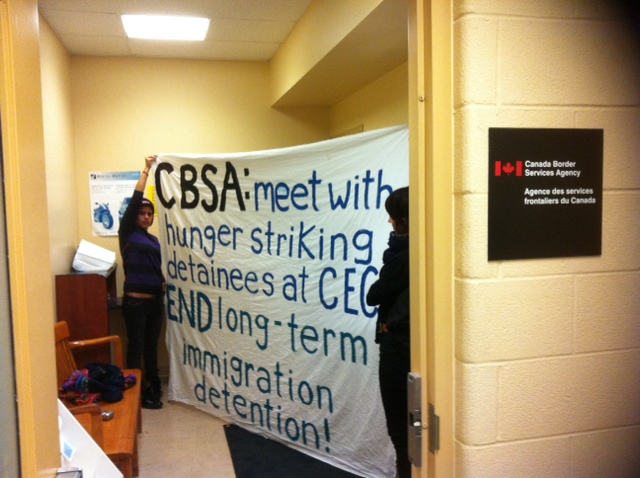 We decided to approach the nearest CBSA office and confront them on their failure to meet with detainees despite their promises to do so. 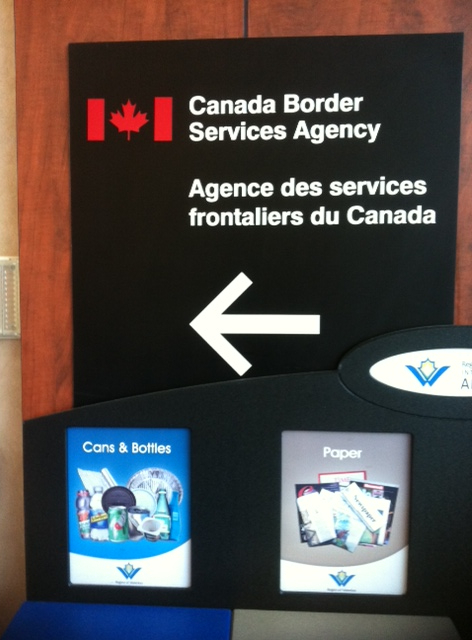 We arrive at the Waterloo International Airport armed with a printout of the over 750 signatures on the online petition supporting the strike. 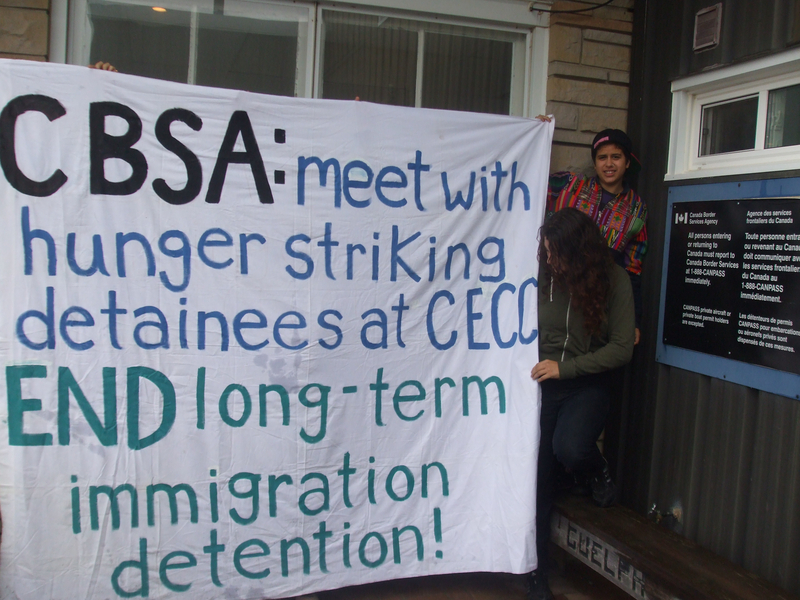 We can keep putting pressure on CBSA and CECC to meet the striker’s demands with our phone calls and emails. Keep calling, keep tweeting, keep emailing!